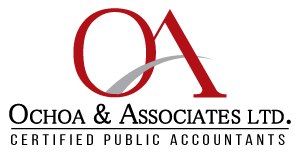 IRS Support – Ochoa & Associates LTD. If you are tired of fighting with the IRS and struggling to get the balance on what you owe due to drop, we can help. Whether you need to help with tax returns or audits, our team is ready to help you today. We have more than 10 years of experience facing IRS tax concerns. Once we put a power of attorney letter in place, we can deal directly with the IRS on your behalf. Let us handle the IRS and you the best possible outcome in your tax debt situation. Give us a call, email or Facebook chat with us for a FREE IRS resolution consultation.